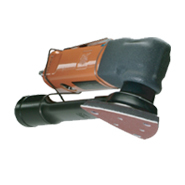 We are the leader in the design and manufacturing of power hand tools designed for source capture of hazardous airborne dust at the “point of generation.” Our innovative and patented designs for source capture at point of generation are offered with our complete line of sanders, grinders, drills, routers, buffers and shrouds for custom applications. 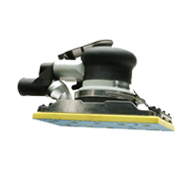 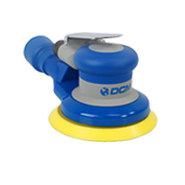 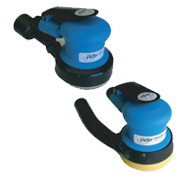 Eliminates foreign object debris (FOD) including dust, metal shavings, and debris generated by grinding, sanding, or other operations. 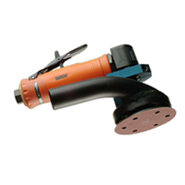 95% – 99% dust capture rates protect workers from heavy metal dust exposure, and protects the environment from pollution. 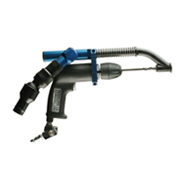 Ergonomic design protects workers from repetitive motion injuries with tools that fit the hand, and fit the job.